Lisa | Robert S. Minch, D.D.S., P.A. 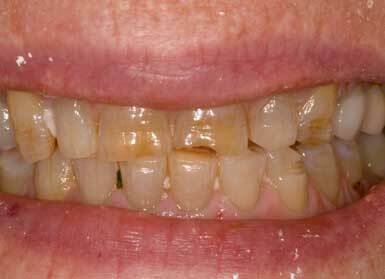 Lisa, a 67 year old event planner, was very unhappy with her aging , yellow, chipped front teeth. But she was very emphatic that she did not want fake, chiclet-looking teeth. So we worked together to create the look and smile that she desired. 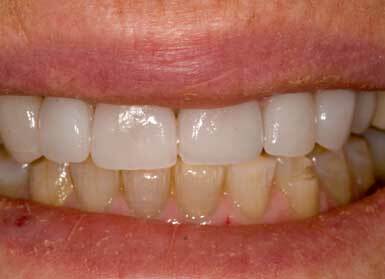 Porcelain veneers were designed for the front 6 teeth that blends with her natural teeth for a clean, not too white but very attractive smile. Click here to see a close up view.